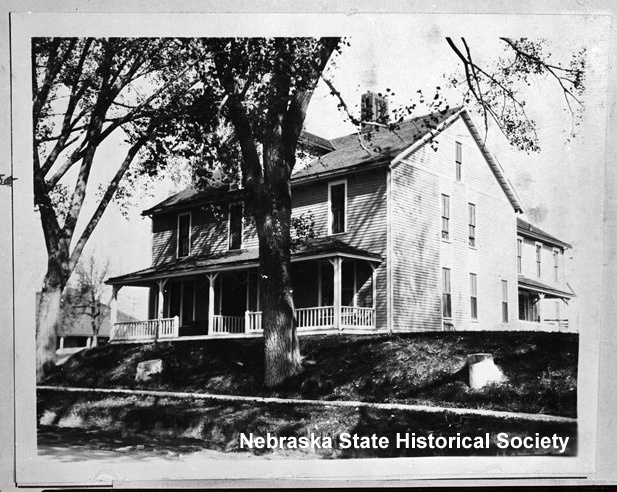 Visitors to Fort Robinson State Park (near Nebraska’s northwest corner) see many original structures as well as replicas of important buildings that were torn down in the past. 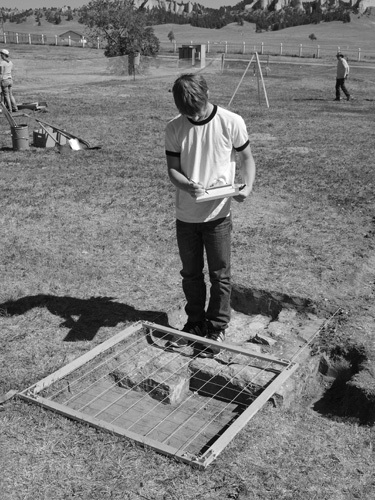 Recent archeological work by the NSHS will make a new reconstruction project more accurate. Built around 1891, Building 14 was a two-story frame structure that served as officers’ quarters. 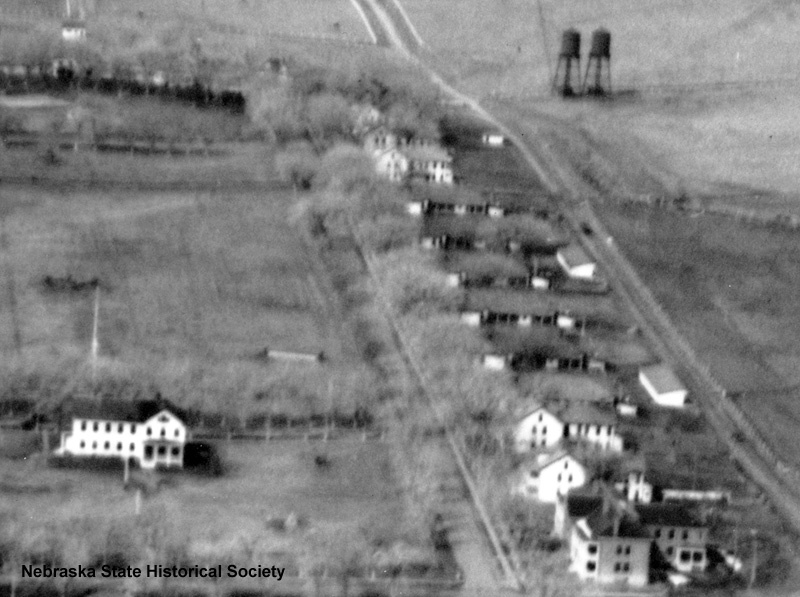 It was torn down in the mid-1950s when the U.S. Department of Agriculture had possession of the fort. 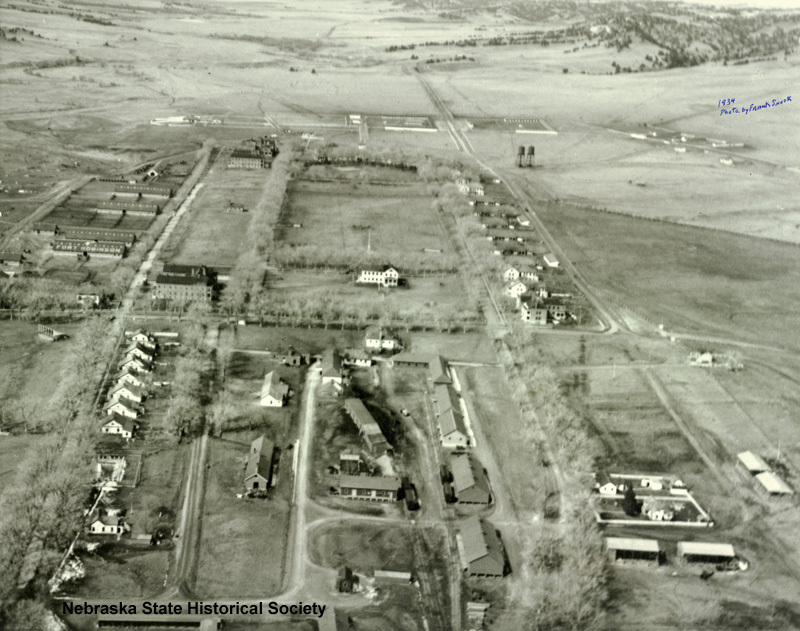 Recently the Nebraska Game and Parks Commission received a large donation for its reconstruction. 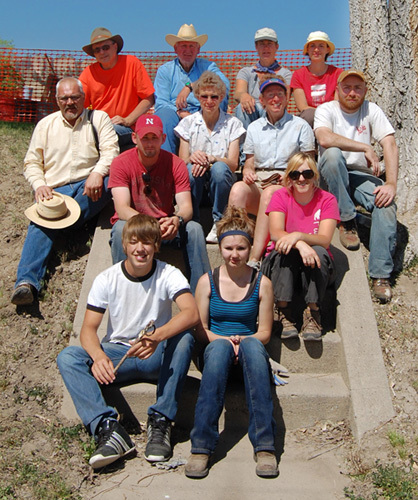 This past May, the NSHS archeology and historic preservation staff led a team of students and volunteers that excavated the building’s remains. 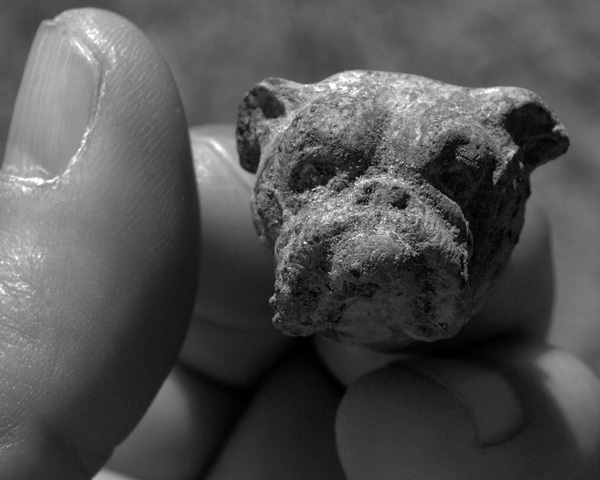 Koch says the recovered artifacts were typical for a structure of that age: “lots of square and wire nails, window glass shards, foundation rubble, and burned coal.” Other items included a door latch, a few historic ceramic sherds, a partially complete bottle, a picket pin, and a pewter or lead decorative finial (a crowning ornament) that resembles a bulldog head. Though more than half the crew had no previous excavation experience, Koch said they were “very enthusiastic and motivated,” and guided by the NSHS staff, the team finished its work in just four days. Game and Parks plans to start reconstruction next summer. 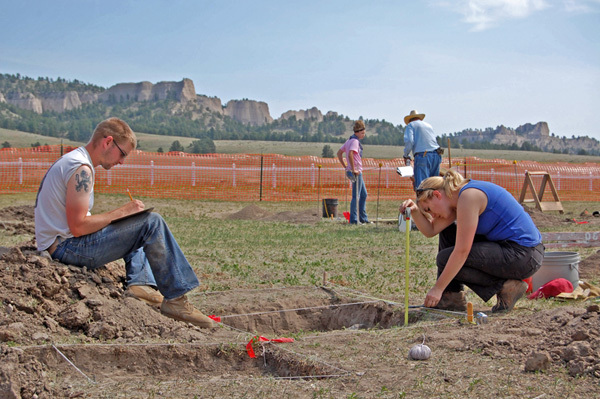 Fort Robinson has had other archeological investigations over the years. Read about the excavation of the 1887 Adobe Barracks in this PDF booklet.